Black Horse T-Shirt - Saying Living Life on a Loose Rein White Heat-Transfer-Vinyl applied to the front. Nice horse person's shirt for fun, play, riding, wearing to the barn or a day out with friends and family. 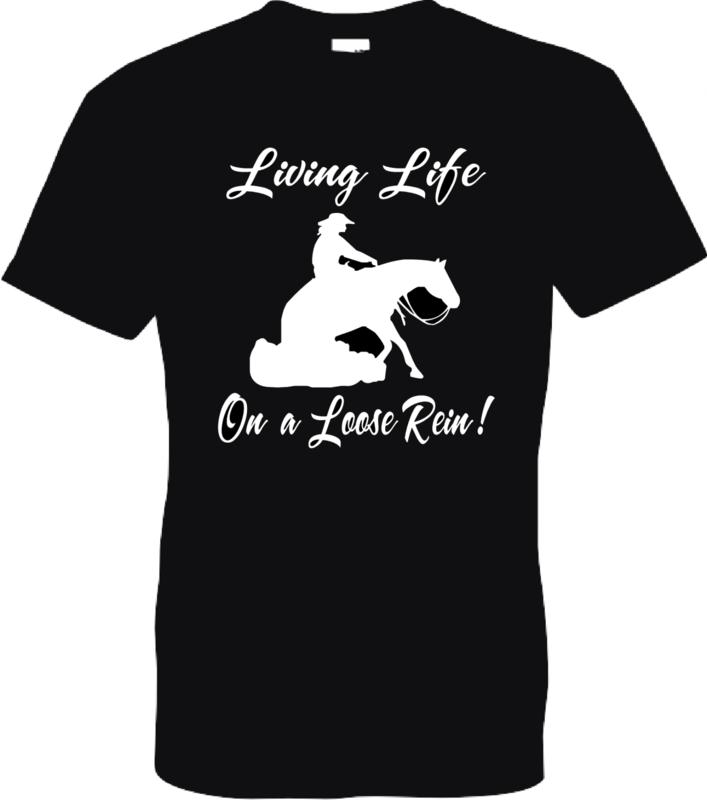 The saying "Living Life on a Loose Rein" is my own original used on my decals and shirts, among other products, as I get them made to display.